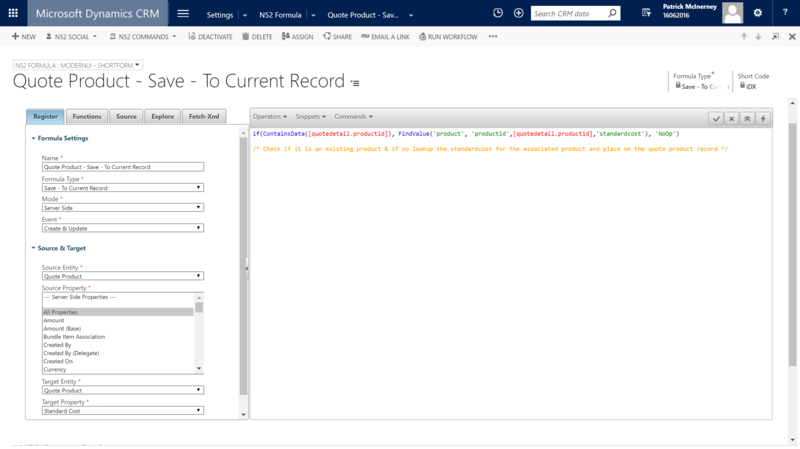 In this business scenario you have a requirement to copy the field 'Standard Cost' from the product entity record on to the 'Quote Product' record whenever the 'Quote Product' is created. This is primarily used for historical reporting purposes where a business user needs to compare the standard cost at that point in time with the Price Per Unit on the actual Quote Product. 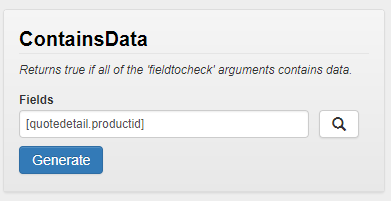 This allows you to run Advanced Finds or create reports that can query this data from the 'Quote Product' entity. Note 1: Equals Value, you will need to go the Explore Tab > Entites > Quote Product > existing product. (value). 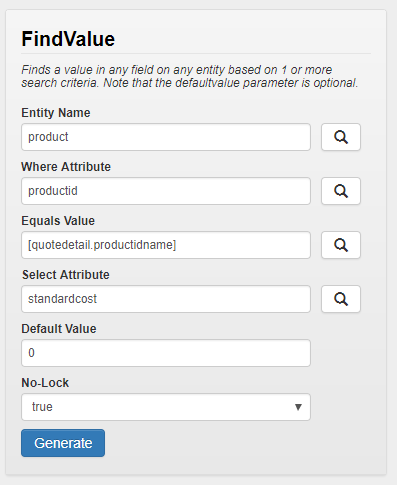 Note 1:The Fields you will need to go the Explore Tab > Entities > Quote Product > existing product (value).